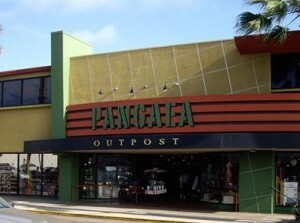 Pangaea Outpost, The Ultimate San Diego Shopping Experience! Nominated For The A-List As San Diego’s Best Local Business! Winner Best Gift Shop in San Diego 2007 & 2008. We’re competing again for the best Gift Shop 2009 – Tell your friends to vote for Pangaea Outpost! Pangaea Outpost showcases over 70 local merchants and artists with goods from around the world. Inside you’ll find eclectic treasures from all areas of the globe as well as unique gifts available only in San Diego. There’s something for everyone in this extraordinary one-of-a-kind shop. 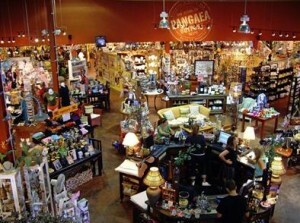 Pangaea is San Diego’s most unique and exciting shopping environment. Our friendly sales staff is on hand to help you find your way around our expansive 12,000 sq ft store. Take a load off and enjoy of hot cup of complimentary coffee courtesy of Pangaea Outpost. The center of our store offers an area for customers to relax and listen to a variety of international world music. Gifts, Jewelry, Art, Apparel, Shoes, Furniture, Textiles, Ceramics, Games, Home Decor, Garden, Music, Free Coffee and So Much More! I LOVE, LOVE, LOVE this place! I shop here first whenever I need a unique and special gift or if I just want to treat myself to a little something. They have an unbelievable selection of items at prices anyone can afford and a super nice staff.